If you’re looking for the most affordable, yet ultimate party experience, then look no further than Kitchener’s amazing party bus rentals. Our professional staff is here to answer your every question about our party bus services. Our party bus experience is something you’ll never forget. Party in style with your large or modest size of guests. One party bus can accommodate up to 50 guests, and with so many available options, you’ll want to book with us time and time again for any occasion. Don’t trust your next big event to other limo services in the Kitchener area. With VIP packages and rates, we can turn our party buses into something truly incredible. Our buses are well maintained and come in a variety of colors, including interior. With different themed parties, we can easily switch out our interior to match your event. Allow our event planning staff to bring your vision to life. We take care of everything from pick up and drop off, to music, to food and beverages. Call today for your free estimate and consultation with one of our staff. Our staff will do everything to take care of your every need. Our amazing facilities and vehicles can easily accommodate any occasion. With party buses, you’ll have a variety of options including music, TV’s, dance floors, poles, and more. Whether you are planning a girl’s night out, or an amazing bachelor party, we take care of every detail. Our beverage options include soda to alcohol bars all with the comfort and safety in our party buses. Whatever your preferences may be, our staff will work hard to provide luxury and an unbelievable experience. Whatever your party and celebration needs may be, let Kitchener Limo Rentals serve you. Our drivers are trained to take the smoothest routes possible and are courteous and polite. They will only add to the amazing journey on one of our party buses. We aim to provide style, sophistication, and comfort to our clients. Our reputation and name you can trust. 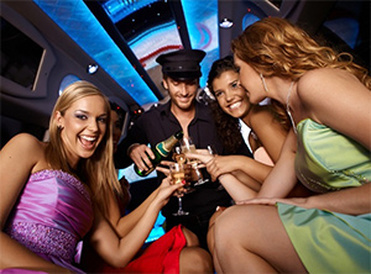 With Kitchener Limo Rentals, our party buses are sure to please any crowd. We can accommodate for any type of celebration including family reunions, birthday parties, and more. If you’re looking for the most affordable, yet ultimate party experience, look no further than Kitchener’s amazing party bus rentals. Our professional staff is here to answer your every question about our party bus services. Our party bus experience is something you’ll never forget. Party in style with your large or modest size of guests. One party bus can accommodate up to 50 guests, and with so many available options, you’ll want to book with us time and time again for any occasion. Don’t trust your next big event to other limo services in the Kitchener area. 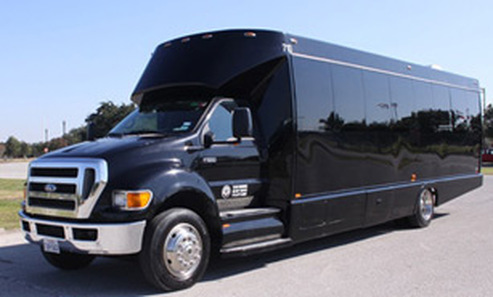 With VIP wedding limo bus packages and rates, we can turn our party buses into something truly incredible. Give us a call at 226-241-9927 or fill out the information form on your screen today. Our staff is here to help you have the most enjoyable journey possible!